For 17 years, 47th Avenue Farm has grown fresh, local, responsibly farmed produce in sync with the seasons for savvy shareholders and some of Portland’s top restaurants. 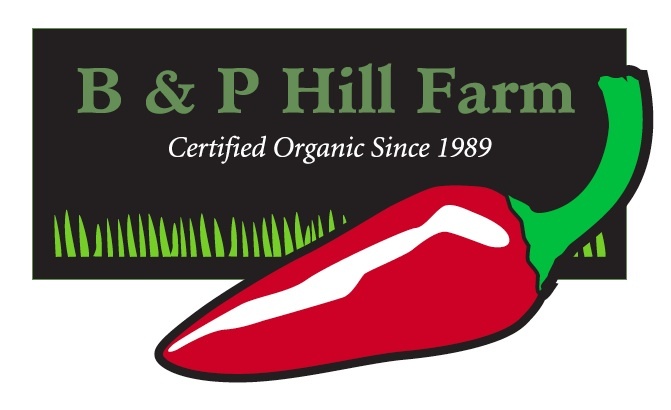 B & P Hill Farms of Sherwood was established in 1989 and is comprised largely of fruit trees. Bob and Patty Hall’s pears are in high demand with top chefs like Sunny Jin of JORY at the Allison Inn. They also supply much of the fruit for Republic of Jam. 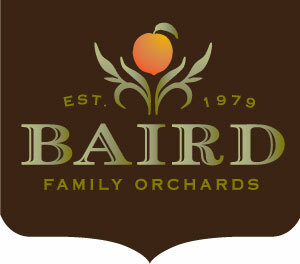 Located in Dayton, Oregon, Baird Family Farm boasts peach, cherry, nectarine, apricot, plum, pluot, and apple trees, and brings their delicious bounty to over 15 farmers markets in Oregon. Located just outside McMinnville on Highway 18, Bernards Farm has been a favorite stop on the way to the coast since 1975. At that time, Michael and Chris Bernards were selling sweet corn out of the back of a pickup truck. Now the farm has grown to include a small nursery and a full line of produce available for customers to pick themselves or grab-and-go. The farm is now supported by the efforts of all five Bernards children. The family uses many sustainable practices including using compost to enrich the soil, planting cover crops between rows as an alternative to spraying, encouraging natural wildlife habitat to create balance and control pests, and using a wind turbine to generate much of their power. Briar Rose Creamery is a small, artisan cheese producer that loves this intimate process that goes into every ounce of cheese that they create. They nurture each small batch to achieve the best flavor and texture, highlighting the seasonal qualities of the cheeses. Located in the Coast Range foothills of northwest Oregon’s Yamhill Valley, Carlton Farms produces fresh, handcrafted meats of the highest quality for select restaurants, gourmet markets, and customers with discriminating tastes throughout the Pacific Northwest. A family-owned business, we specialize in premium fresh and natural pork as well as exceptional beef, lamb, and a variety of sausages and smoked meats. Located in McMinnville, Draper Farms’ natural, sustainable practices and small-farming techniques allow them to cultivate over 200 varieties of fruits and vegetables; rare, heirloom seeds are our special passion. 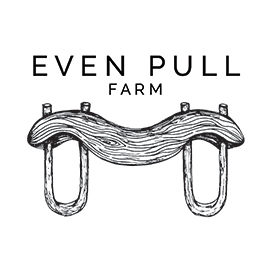 Even Pull Farm is the dream of Linfield graduates Beth Satterwhite and Erik Gimstad. This small, first generation farm offers high quality, responsibly-grown produce and cut flowers to Yamhill Valley. Beth is dedicated to increasing social awareness for the local food economy as a leader in the YES project Nourish Yamhill Valley. Erik is busy keeping our river clean by acting as an operator for McMinnville Wastewater Services. The dynamic duo is passionate about sustainable farming practices and are fastidious about soil health, controlling disease, pests and weeds by using natural means, enlisting the help of pollinators, and practicing the highest level of food safety. 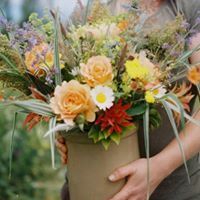 They offer a CSA and market shares for their produce and flowers. Gratefull Gardens is a beautiful property, miles from downtown McMinnville, run by Tawna and Clay. First generation farmers in their second season here in Yamhill County. We strive to provide the highest quality food for our local food system, using sustainable, GMO free, and chemical free practices. Our goal is to help our local food system be accessible to everyone in the community with the smallest carbon foot print possible. We grow lots of fresh fruits and veggies, amazing eggs, and pasture pork. You can find us at the downtown McMinnville market on thursday from 1-6, and the Saturday market at McMinnville Grange year round from 10-2. 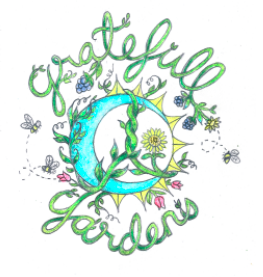 For more info please visit www.gratefullgardens.com. Have a grateful day! 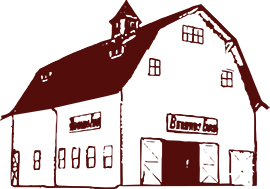 Kookoolan Farms is a small, diversified family farm specializing in 100% grass-fed beef and lamb; pasture-raised organic-fed chickens; mead and kombucha. They also have a lovely 2-bedroom mission cottage available for rentals through AirBNB. 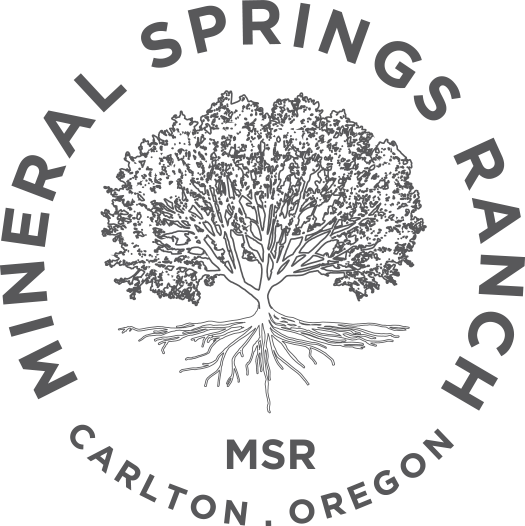 Mineral Springs Ranch is a 240-acre woodland and farm nestled in the heart of wine country in Carlton, Oregon. We grow world-class Pinot Noir and Chardonnay for Soter Vineyards as well as a variety of tree fruits, berries and vegetables for the Soter Vineyards culinary team and a few of our favorite restaurants. Mineral Springs Ranch is also home to a tribe of blackberry-munching goats, a few alpacas and llamas, some pigs, chickens, ducks, livestock guardian dogs, and a pair of mini-donkeys whose role on the farm is yet to be discovered. Oakhill Organics has been joyfully farming on Grand Island since 2007. With over 100 acres under their management, they grow everything from arugula to zucchini. They sell all of their vegetables here within Yamhill County, through our Community Supported Agriculture (CSA) program and to several restaurants. Since 1987, our Northwest blueberries have delighted those who yearn for simpler times and great-tasting berries. 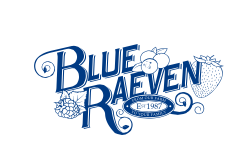 Ravenbrook Farm, located in Oregon’s lush Willamette Valley, started with 13 acres and a dream of raising the finest blueberries for our family and loyal customers. Our third generation family farm is proud to bring a full line of quality products to your table. The Blueberry Shed product line and label (featuring our mother in her childhood) represent time-honored values and a commitment to bring the taste and flavor reminiscent of the good ol’ days. Saint Joseph Acres is both a first generation farm, and one with deep roots. The farm is located just north of McMinnville, where the town of Saint Joseph used to be. Though the land has been in Mark’s family as a dairy since 1920, it is new to growing produce for market. After fifteen years of grass seed production, Mark and Liz have the opportunity to return the land to food production. 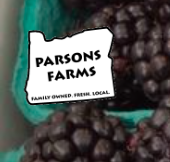 Sunshower Hill Farm is a family farm run since 1999 by Ranee and Jody Solomonsson on Parrett Mountain, located on the eastern side of the Yamhill Valley in Newberg. They offer a variety of fresh bulk herbs, specialty fruits, seasonal produce and hardwood cherry and apple wood chips for smoking. In addition, the farm has a line of hand-crafted herbal tea blends and specialty culinary syrups. Sunshower Hill’s deliciously comforting “farmhouse blend” herbal tea has organic peppermint, calendula flowers, chocolate mint, lemongrass and stevia. All of the ingredients in the herbal teas are grown on the farm and hand harvested. The farm was recently awarded a grant for watershed enhancement and native plantings on the property. All of their farming is done organically, and they adhere to the highest level of sustainability practices. Super Natural Farm is home to farmers Sarah, Matthew, and their young daughter Charlotte. As it stands, they farm seven acres, nestled in the foothills of the Coast Range and the beautiful West Valley of Yamhill County, growing over a hundred varieties of vegetables, some fruit, chickens, eggs and heritage breed turkeys. The farm has a thriving CSA program and sells produce directly at four farmers markets, to local restaurants, and to select wholesale retailers in Yamhill, Clackamas, and Multnomah counties. 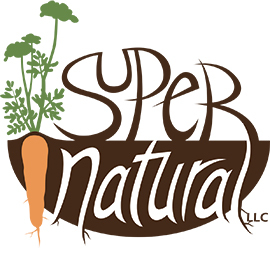 Food at Super Natural Farm is grown with good intention and integrity, by farmers who care about the land, tend to their animals, and love what they do. This is food with a (happy) face and the highest quality. Yamhill County Mushrooms, founded by Bill Darn, is currently operated by Bill’s son, Bob. He has spent years perfecting a unique environment, which creates world-class mushrooms. A small farm in Sheridan, Oregon, on the banks of the South Yamhill River, they grow vegetables and fruit on about 1.5 acres, and pasture raise poultry (both eggs and broilers) on another 3 acres. Open to visitors, the fundamental principal they employ is honesty and transparency about how they raise our food.